Der PC OPs Server verwendet das OPC Standard-Interface, um OPC-kompatible Grafikpaketen den Zugriff auf Daten vom LoggerNet Server zu ermöglichen. Über eine einfache Browser-Oberfläche können Sie die Daten zur Anzeige auswählen. Außerdem kann man sich Input Locations, Final Storage Daten und Statistik zur LoggerNet Server Kommunikation anzeigen lassen oder Kontrollen ausführen. 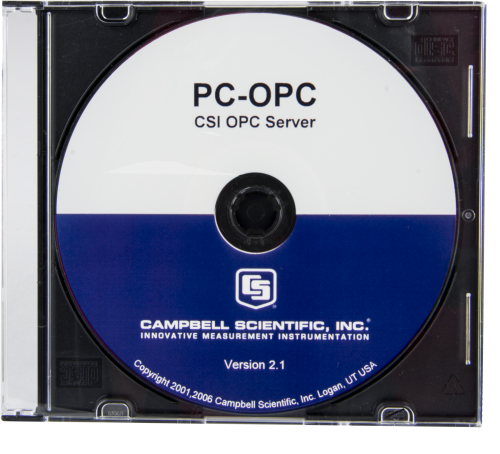 A PC-OPC trial version is available, at no charge, from our downloads page. The trial version generates random data instead of retrieving the data. Using LabVIEW, can communication be established with a datalogger? Campbell Scientific dataloggers cannot communicate directly with LabVIEW. However, after retrieving data collected by any of the Campbell Scientific dataloggers and placing the data in the LoggerNet data cache, the data can be shared with LabVIEW using a LoggerNet client called PC-OPC. A trial version of PC-OPC is available in the Downloads section of the PC-OPC product page. The PC-OPC Server software provides a standard interface that allows third-party OPC-compatible graphics packages, including LabVIEW, to display the datalogger data.